Like most business owners, I imagine you are frequently coming up with new ideas for product lines, businesses, programs and services. But, how do you know what to move forward with, what goes in the someday maybe pile and what should be acted upon immediately? Having a trusted, objective advisor to run those questions by is a great idea. But who can you trust to give you unbiased, smart, thoughtful guidance? Us. In fact, running your visionary plans by your business lawyer is the very best thing you could do – Warren Buffet’s no dummy and he runs every deal by his personal business lawyer, Charlie Munger, before saying yes to a new possibility. 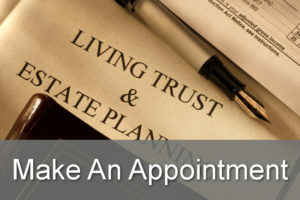 You see, as your personal business lawyer, I can help you make the decision about whether to move forward with a potential deal or new revenue stream within the context of your overall business objectives PLUS I can ensure that any new deal is properly documented and your intellectual property is protected. From trademarks, to copyrights, and protection of your branding, systems, and processes, I will help you determine what really is protection-worthy with a full out registration with the United States Patent & Trademark Office (or other international jurisdictions) and what can benefit from a simple, easy and free stake of your claim. When you participate in one of our Business Growth Membership Programs, I will regularly connect with you to discover any new websites you have registered, new ideas you have had crop up, or new content you have created so I can ensure it’s all been protected to the maximum that makes sense and your ideas are safe and sound so you can make the most of them in the world. Plus, if and when one of your trademarks or copyrights are infringed upon (meaning someone else out there is using something you have staked a claim to), I’ll make contact on your behalf, not in a traditional crabby lawyer way, but in such a way that it opens up a dialogue and even the possibility for future collaboration. That’s because I’m all about helping you do business in a new paradigm way that focuses a lot more on collaboration than competition while still allowing you to set clear boundaries and stake your claim to your brilliant ideas.